18-year old Nangdrol’ s body was guarded over by 1000 people after his death to stop Chinese police from snatching it. A young Tibetan Buddhist monk set himself on fire to protest Chinese rule, becoming at least the 21st to do so in the past year, and more than 1,000 people were trying to prevent police from taking his body, an overseas Tibet support group reported Monday. Eighteen-year-old Nangdrol self-immolated on Sunday [19 Februari 2012] outside his monastery in Aba county, where most of the immolations have occurred, the Washington-based International Campaign for Tibet said. The group said Nangdrol shouted slogans for Tibetan independence and for the Dalai Lama, the Tibetan leader exiled in India for a half-century and reviled by China. Nangdrol’s is the latest in what seem to be increasing numbers of immolations that have galvanized other monks and lay people to protest Chinese government controls over Tibetan society and the Buddhist religion. Following Nangdrol’s death, police demanded that his body be handed over, but monks at his Samdrup Norbu Ling monastery refused, the international campaign said, citing Tibetan monks based in India. More than 1,000 people gathered at the monastery overnight to stand guard over the body, it said. 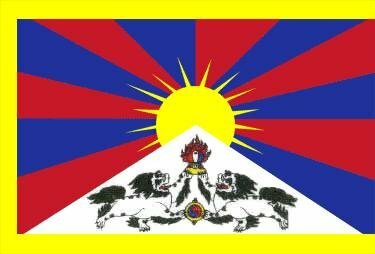 Chinese security has cut off access to Tibetan areas, making it virtually impossible to independently confirm such acts. Calls to local government and Communist Party offices rang unanswered on Monday [20 February 2012]. Activists say Tibetans are being pushed into ever-more radical acts because of intense pressure from China’s police and military, who maintain a highly visible presence in towns and occupy monasteries while forcing monks to endure hours of political indoctrination at the expense of their religious studies. Chinese police last Wednesday [15 February 2012] took Tibetan writer Gangkye Drubpa Kyab from his home in Serthar, another restive Sichuan province county near Aba, the Norway-based Voice of Tibet reported over the weekend. The report said he has not been released.